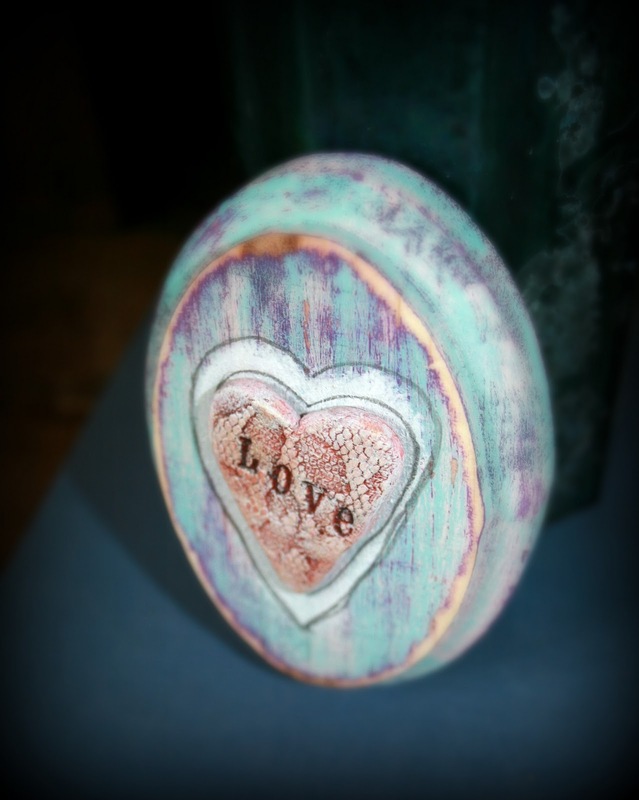 Objects Of Affection: New Art in the New Year! New Art in the New Year! 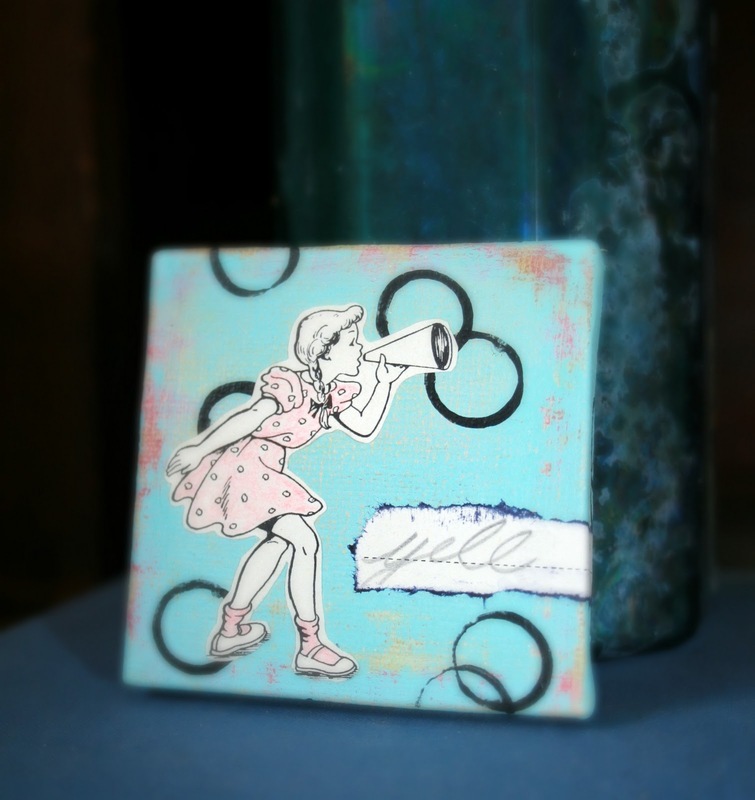 * be better about blogging * try encaustic painting (I got a kit to get started!) * paint more * get out of the house more * connect with friends * take more walks * read more books * and laugh more. 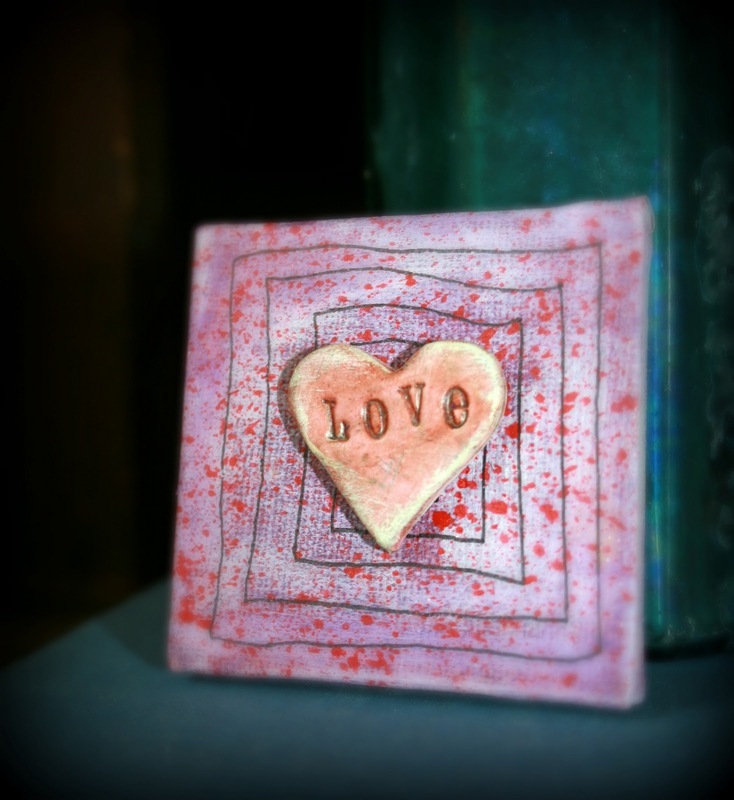 Above are two pieces I created for Valentines Day. 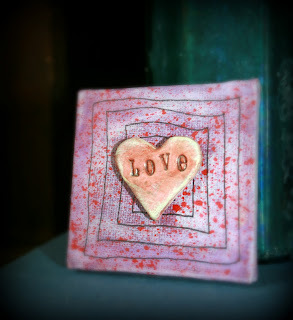 The little hearts I made from polymer clay...it was the first time I have worked with it and I really enjoyed it. I hope to work with more in the new year as well! The piece above is just a fun little painting / collage, created from an old school workbook. I just love how it turned out. I feel that I am off to a good start to the year, as I have created these three new pieces and have a few more in the works! I would love to hear your goals and wishes for the new year, so please feel free to share.